THIN WALLS: One building. A city in upheaval. A solo play about twelve lives colliding. 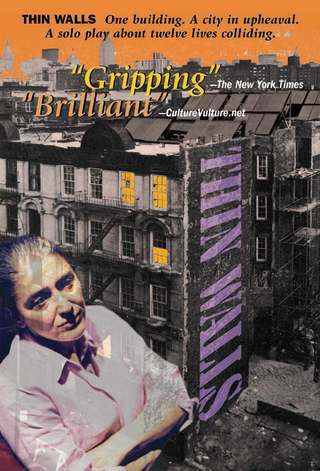 Set in a century-old New York City residential hotel, once elegant and now run-down, the darkly humorous and deeply moving play interweaves the stories of the building’s long-term residents, its recent arrivals, and its ghosts, as the end of the 20th Century approaches. "Thin Walls has twelve characters but a cast of only one. Fortunately, that one is not just an excellent playwright but also a brilliant actor... A real play with multiple plot lines and a dozen fascinating characters... she slips from one character into another with absolutely clear transitions that border on the magical." 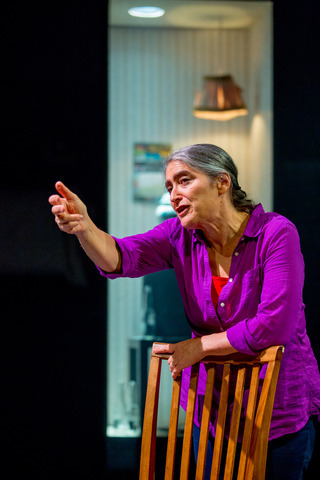 "A mesmeric solo performance... she has brilliantly transformed the story of her life in the Upper West Side building into a play, in which she plays a dozen characters in over 41 scenes." 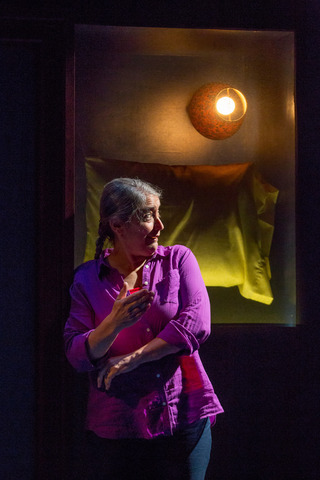 "As the play progresses, she allows the relationships and conflicts to gradually emerge... Cohen translates herself from one character to another with ease." "In this remarkable one-woman tour de force written and performed by Alice Eve Cohen... chance encounters in half-lit hallways and in the lobby add layer after layer to a chiaroscuro of intersecting connections that emerge from the shadows, flicker briefly, then just as quickly melt away to be replaced by another." Her solo shows and plays include: What I Thought I Knew, Thin Walls, Oklahoma Samovar, Hannah and the Hollow Challah, Philomela’s Tapestry, Without Heroes, Jessica’s Cervix, The Play that Knows What You Want, The Parrot, The Balinese Frog Prince, Book of Truth, Book of Lies, Goliath on 74th Street vs. the Woman Who Loved Vegetables, The Owl Was a Baker’s Daughter, The Animator. Her works have been presented by many venues, including Dance Theatre Workshop, Cherry Lane Theatre, New York Theatre Workshop’s “Just Add Water” and “O Solo Mio” Festivals, The New Georges, The Kitchen Theatre, HERE Arts Center, 78th Street Theatre Lab, The Women’s Project & Productions, Theatre for the New City, La Mama, Franklin Furnace, Bayview Women’s Prison, Albuquerque’s KiMo Theatre, Tampa Bay Performing Arts Center, Hudson Opera House, Manhattan Punch Line, Proctors Theatre, National Foundation for Jewish Culture, Syracuse Civic Center, Artscape, Philadelphia Women’s Theatre Festival, LA Women’s Theatre Festival, Barnard College, Princeton University, Dartmouth College, University of Michigan, University of Baltimore, Fordham, Purchase College, Smithsonian Institution’s Discovery Theatre, Annenberg Center, Rochester Museum, American Museum of Natural History. (International) Edinburgh Fringe Festival, Galway Theatre Festival, Jerusalem’s Theatre Bama, Trinidad’s Astor Theatre, and Oslo Theatre Festival, among others. National Endowment for the Arts, New York State Council on the Arts, Fellowship from Virginia Center for the Creative Arts, Selected Artist - Voice & Vision's Envision Retreat, Dance Theatre Workshop First Night Award, Poets and Writers Awards, Jane Chambers Playwriting Award honorable mention.